Hi, Guys if You Don’t Know about HMD global new launched Nokia X7. If you are searching for the Nokia X7 for detailing. Then You are at the Right Place. Today here I’m Going to share my opinion on Nokia X7 for You guys. so that by this “Nokia X7” Article You can properly know about this phone, and I can bet with you that you never get this type of detail of Nokia X7 on the internet. 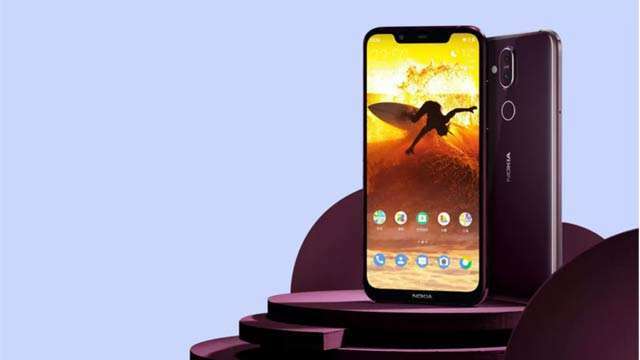 HMD Global launched the Nokia brand, a new smartphone, Nokia X7, in the Chinese market. This is Nokia's third phone of the X series. Earlier, the company had launched Nokia X6 and Nokia X5. Nokia X7 will be introduced with Display Notch, Dual Rear Camera Setup and Fingerprint Sensor. This phone has been introduced in three variants. Nokia's 4 GB of RAM and 64 GB storage model costs 1,699 Chinese Yuan i.e. around 18,000 rupees. At the same time, the price of 6 GB RAM and 64 GB storage variant is 1,999 Chinese Yuan i.e. around 21,200 rupees. Simultaneously, the premium variant 6 GB RAM and 128 GB storage are priced at 2,499 Chinese yuan i.e. around 26,500 rupees. This phone has been introduced in Dark Blue, Night Red, Night Black and Magic Night Silver Color Variants. It's a dual SIM smartphone. Plus it will work on Android 8.1 Aureo. It has a 6.18-inch full-HD + display. Its aspect ratio is 18.7: 9. Its screen to body ratio is 86.5 percent. Also, 2.5 d of the curved glass has been used on it. This phone is equipped with Octa-Core Qualcomm Snapdragon 710 processor. Its internal storage can be increased through microSD card up to 400 GB. The dual rear camera will be given in the phone for photography. Its primary sensor is 12 megapixels. It is equipped with dual pixel autofocus, F / 1.8 aperture and OIS. Its secondary camera is 13 megapixels. This is a fixed focus sensor. Speaking of the front camera, the phone has a 20-megapixel camera with F / 2.0 aperture. To give power to the phone, 3500 mAh battery is provided, which supports fast charging of 18 W. For connectivity, 4G VoLTE, Wi-Fi 802.11 AC, Bluetooth 5.0, GPS / A-GPS, GLONASS, FM radio, USB Type-C port and 3.5mm headphone jack features have been provided in the phone. So, Guys This is my own opinion about Newly launched the smartphone in China i.e. Nokia X7. I hope You find Our Article helpful for you, please do share and comment your thought about this all detailing on Nokia X7. Thank You!